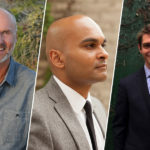 In this episode of This is the Author meet Chip Conley, author of Wisdom at Work, Reihan Salam, author of Melting Pot or Civil War?, and Nick McDonell, author of The Bodies in Person. 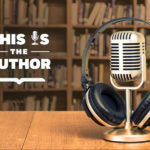 From how we communicate in the workplace, to how we discuss the immigration debate, and how we talk about the casualties of war, these authors’ books will make you think about the varying viewpoints that affect our world each day. And, find out why, when you’re fifty years old, you should actually only think of yourself as 32 years into your adulthood.